Miners Gloves. Made from Cotton and Rubber. 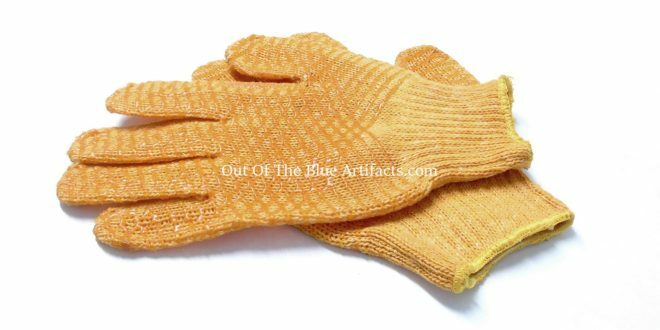 These gloves came into the industry in the 1980’s to replace the thick Leather and Cotton gloves. The latter was more popular with the miners as of their ability to protect the hands whereas the new cotton and rubberised gloves were less effective in protection and not at all water resistant. 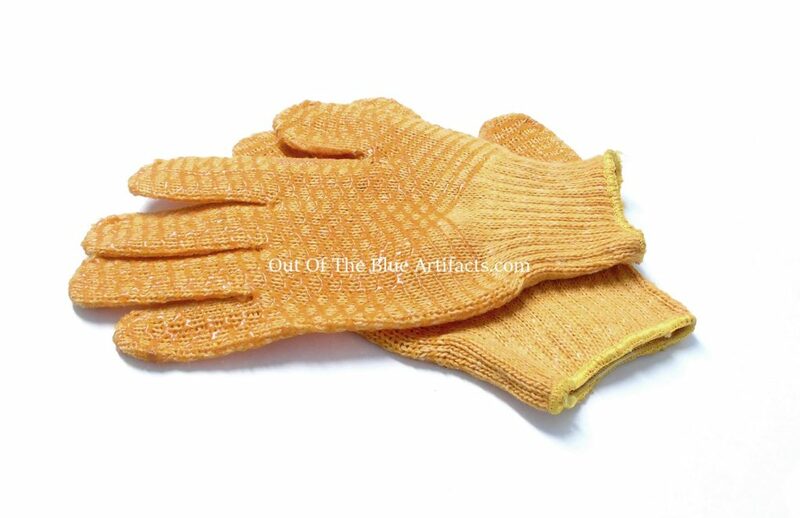 The colour of these gloves were orange with a yellow cotton whipping around the wrist. The same style of glove is still being made today, though with whipping made with various colours such as red or green.